One of my favorite things about sewing is discovering and trying fabrics that are new to me. 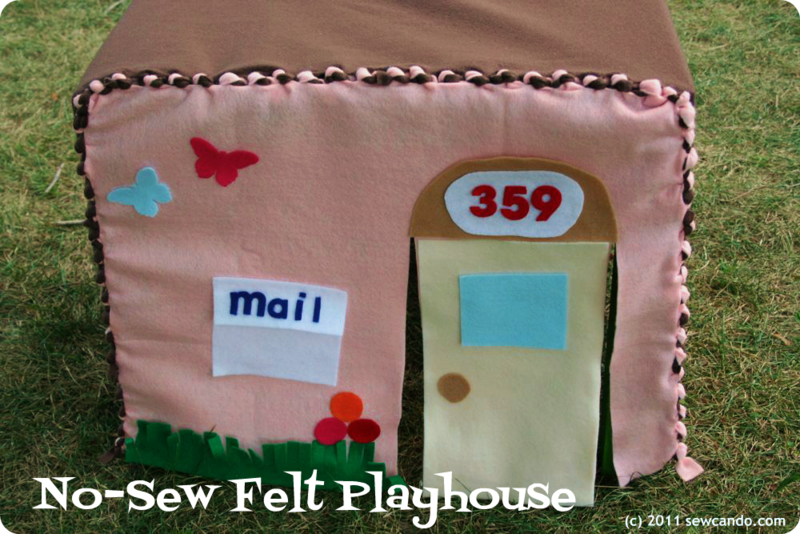 It opens up additional project possibilities, broadens sewing skills and is just plain fun. Today I'm sharing details on a new fabric I've tested and giving you a chance to win some for yourself too! 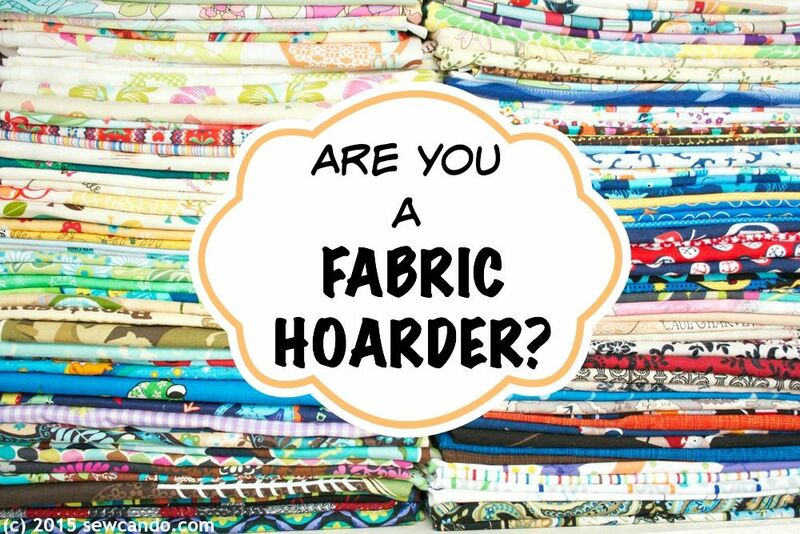 Are you ready fabric lovers? Diaper Sewing Supplies (the place where I buy all my awesome PUL prints & Eco-PUL™ and one of my lovely advertisers) asked if I'd do some test sewing with a new fabric they were going to offer called Waterproof Oxford. I made a few things, shared my findings with them and discovered I have serious love for this fabric. It. Is. Awesome. And now you can find out why you'll love it too! What is Waterproof Oxford? It's a woven 100% polyester oxford fabric. It's finished with a durable water repellent and then laminated with a thin black polyurethane coating on the back. It means it's waterproof on both sides and has crazy strong durability. It comes nice & wide too - 58-60 inches - so a single yard can make loads of things. What can you make with it? 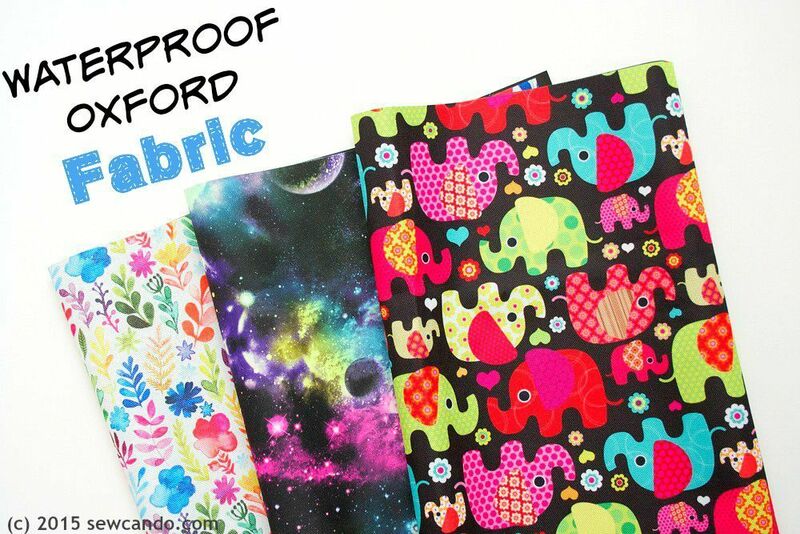 Just about any project where you want a fabric that's super durable and easy to clean. 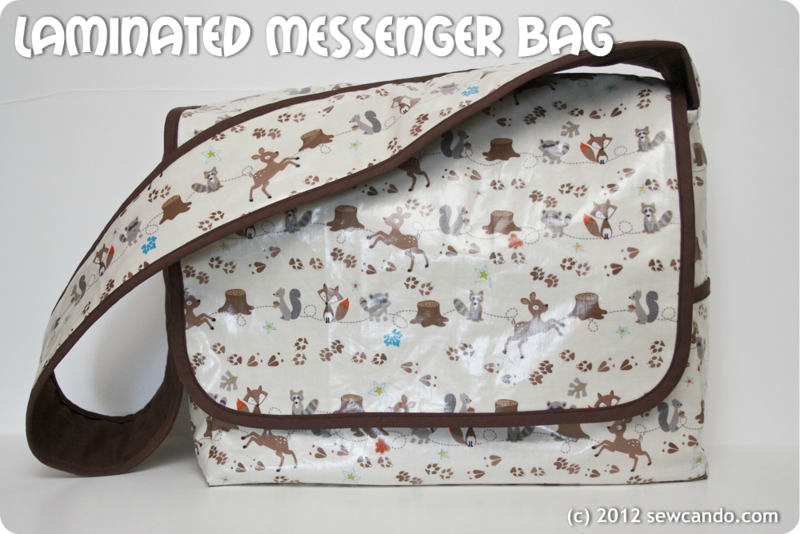 Diaper bags, wet bags, tote bags, purses, and carry cases. 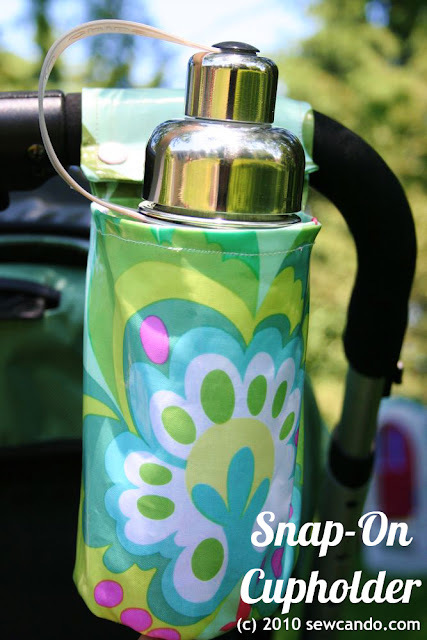 You can even use it for things like luggage, seat covers, dog beds, picnic blankets - anything you want to keep dry. 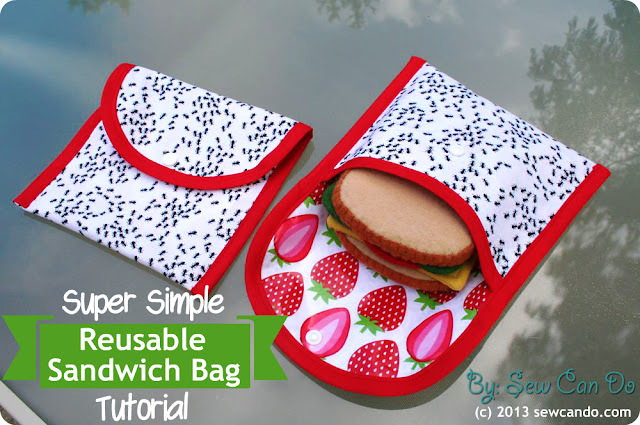 It's also good for lunch bags when paired with food safe Eco-PUL. And the prints it comes in are beyond cute (as you will see). 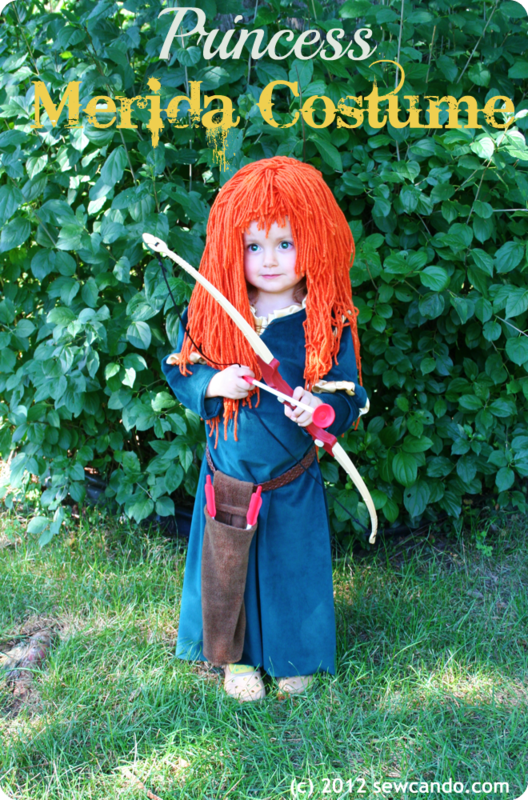 The fabric isn't really suited for fashion sewing, but there are loads of other ways to use it. - No pre-washing. 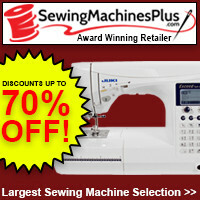 This is a wipe clean fabric so you can start sewing right away. I love low maintenance material. - Lining not required. 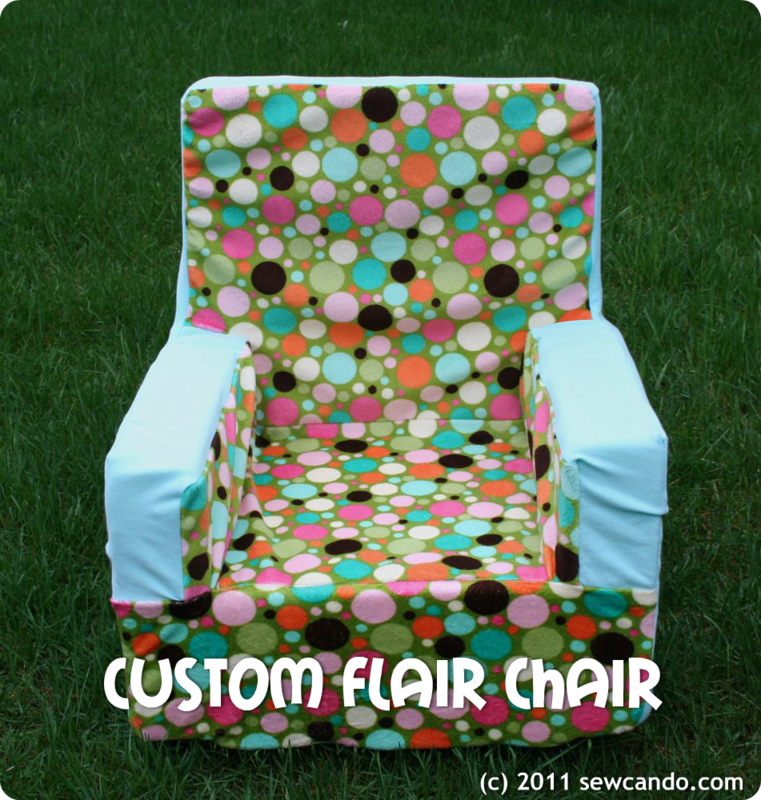 Since this fabric has a built-in solid color backing, it's dual sided. A big time & materials saver. - No stretch. Although it's a woven, waterproof oxford doesn't have the usual weft give, so you don't really have to worry about cutting with the straight grain. Loads more options for pattern placement and less wasted fabric. - Ideal weight. 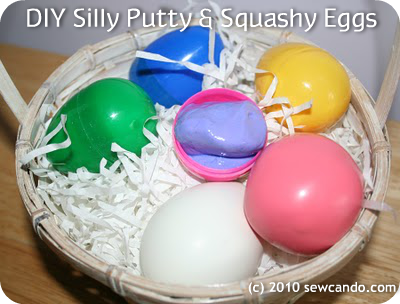 The fabric is medium weight in feel, yet is fairly thin and easy to sew. It's got a strength that performs like a heavy weight, but without all the thickness that makes sewing layers a challenge. - Holds shape well. The polyurethane backing gives the fabric some extra body, so it doesn't have the extreme floppiness you find with other wovens. How to sew with it: Sewing with waterproof oxford is pretty simple. 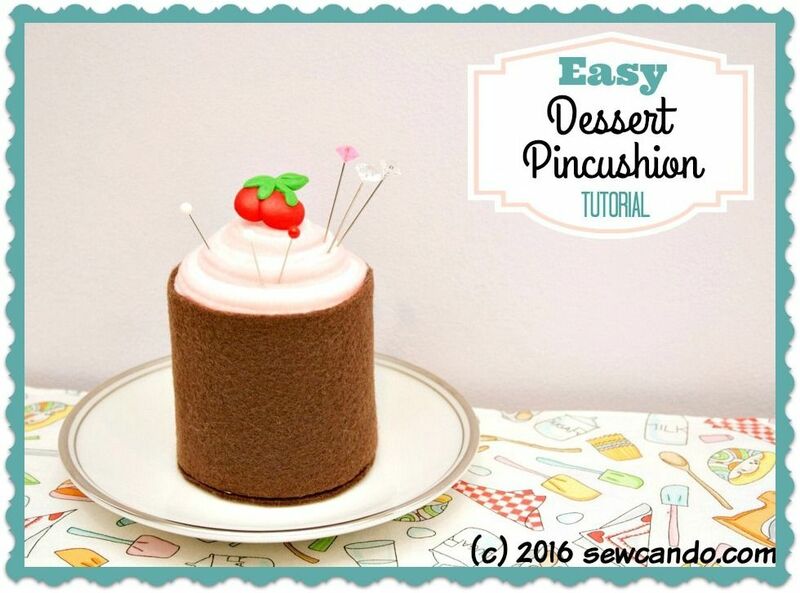 A heavy duty needle and polyester thread is all you need. I tried sewing with both a standard foot and a walking foot. The walking foot made layers less likely to slip around curves, but there was none of the sticking you tend to get with other laminated fabrics, so using a basic foot is totally fine too. Handling Tips: It's helpful to use clips rather than pins, since those will leave holes (unless you pin in the seam allowance where they won't show). Also, like most laminated fabrics, to remove folds or creases, use a low heat setting when ironing. 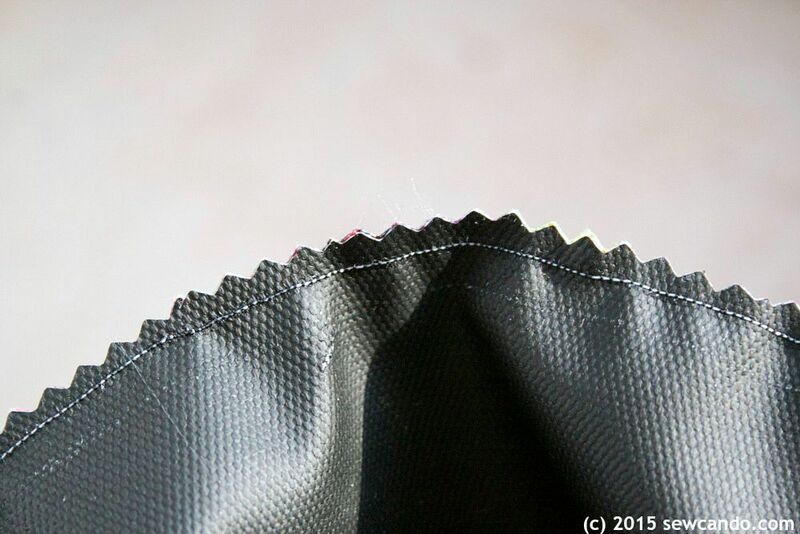 Finishing tips: Thanks to the polyurethane backing, this fabric won't fray as much as standard wovens, so hemming or encasing seams isn't as critical. I found cutting the raw edge with pinking shears worked great. Another option for exposed edges is to use binding elastic or FOE (fold over elastic). I tried both and had great results for a smooth and simple detail. The fabric's inherent strength also means installing things like snaps and grommets doesn't really require extra stabilizer or the muscles of a bodybuilder to put in yourself. My grommets went through 2 layers of fabric only and after weeks of kids pulling on them, they still look great. 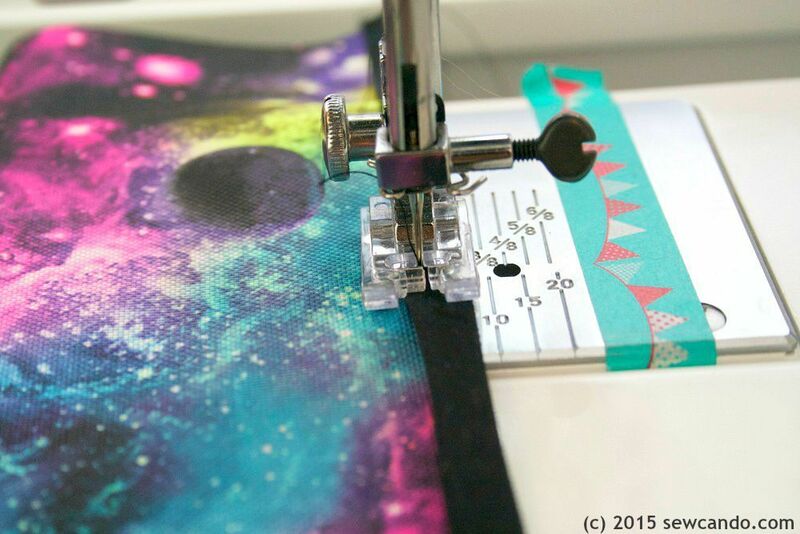 With the fabric's durable hand, and this cool galaxy print, it looks and feels just like a high end store-bought version. Except I designed and made it myself for a fraction of the price! I'm working on offering my backpack as a PDF pattern, so stay tuned for that too. Since I still have quite a bit of fabric left from my project testing, I've decided to share the fabric love! 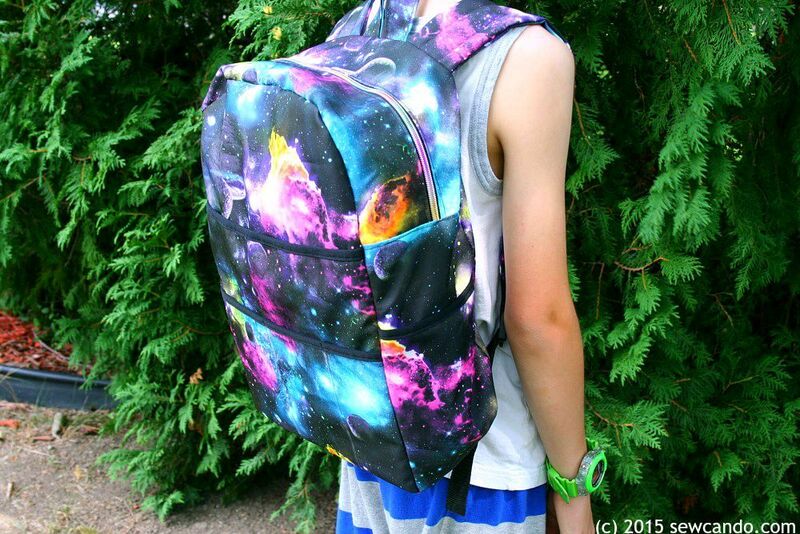 Holy cow -- that backpack is adorable! Love that print, and it's even cooler that it's PUL fabric. I have been wanting to make some bowl covers for when we are camping and eating outside. I bet the PUL fabric would work great for that! I would make some school bags. Your projects look great. I would make place mats and totes. Thank you for the giveaway. 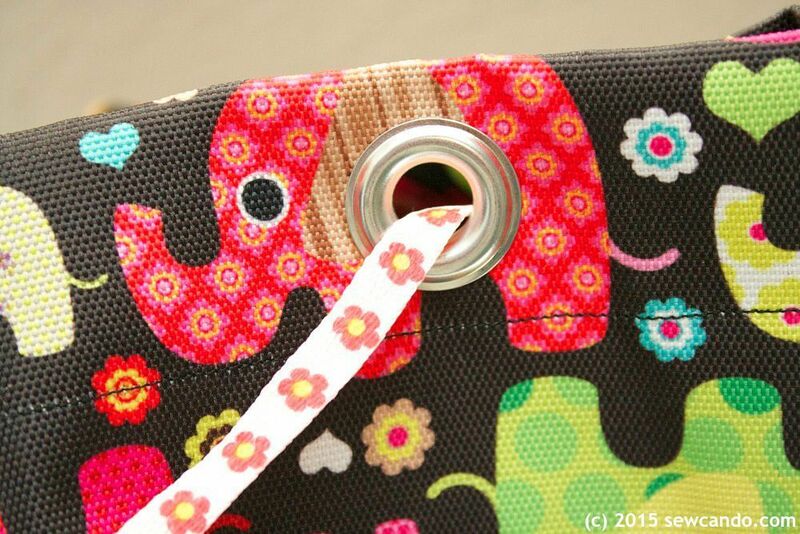 Love the elephants - I would make some placemats for dining out on the deck! Thanks for the chance! Oh my goodness! 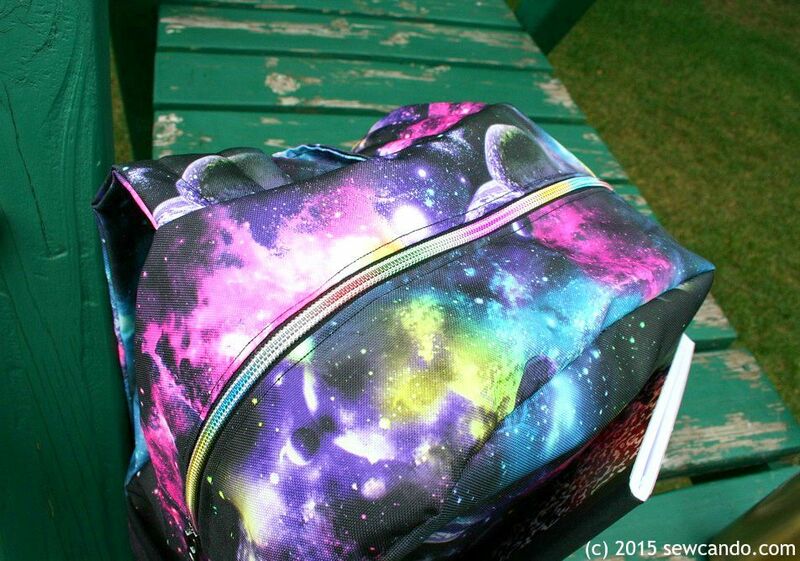 My son would be over the moon for that galaxy fabric. He is an aspiring rocket scientist. I would make him some snack bags for his school lunches. I'd make some snack bags!! Super cute fabric!! I'd love to try this fabric too. Thanks for the giveaway. Tammy R.
I would make a lunch bag! 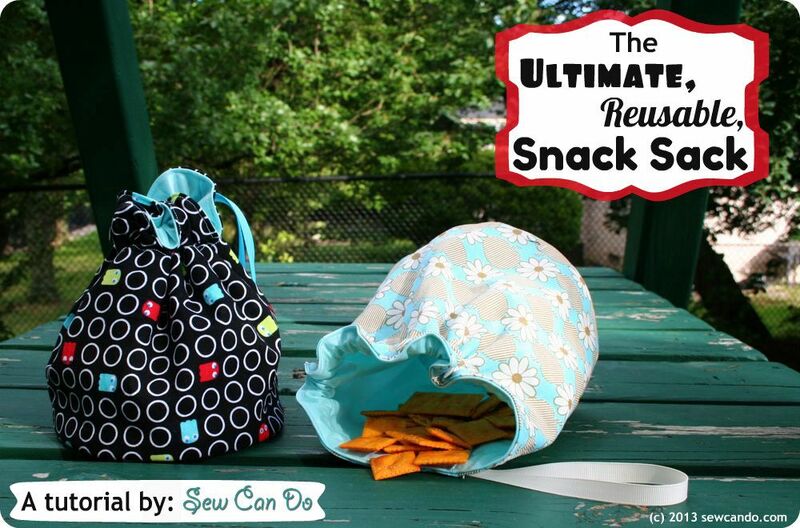 I love the previous posters who said snack bags too! Thanks for the chance to win! 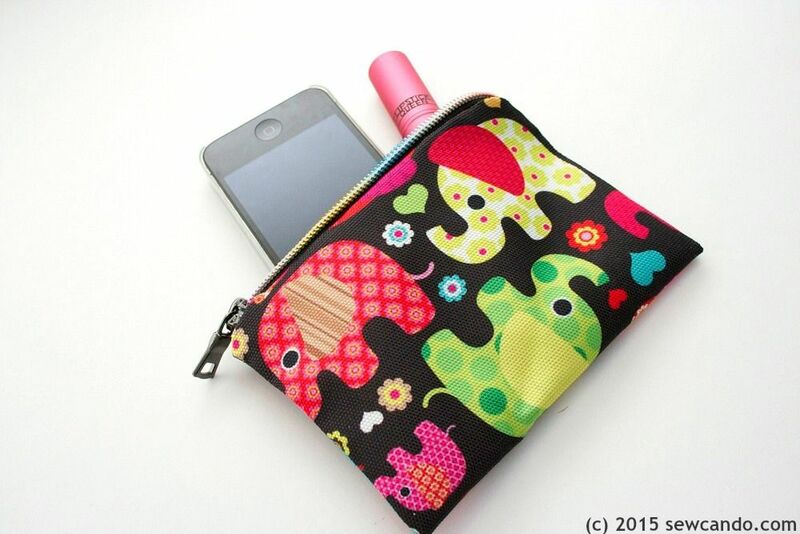 I would like to make a pouch for back to school! A back pack for my little one is definitely in order. Awesome! 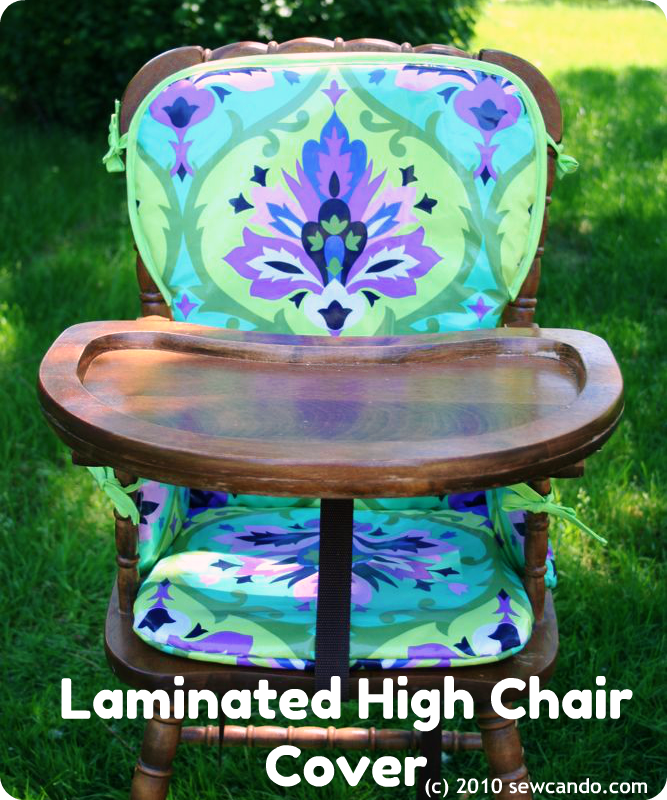 This material would be great for bibs or a toddler placemat. Pencil cases, and a purse makeup bag. This looks like great fabric! Bags! I always need more bags. Pouches -- for makeup or to put small items in a beach bag. Oh wow! This looks fabulous! I love that sweet elephant print too. 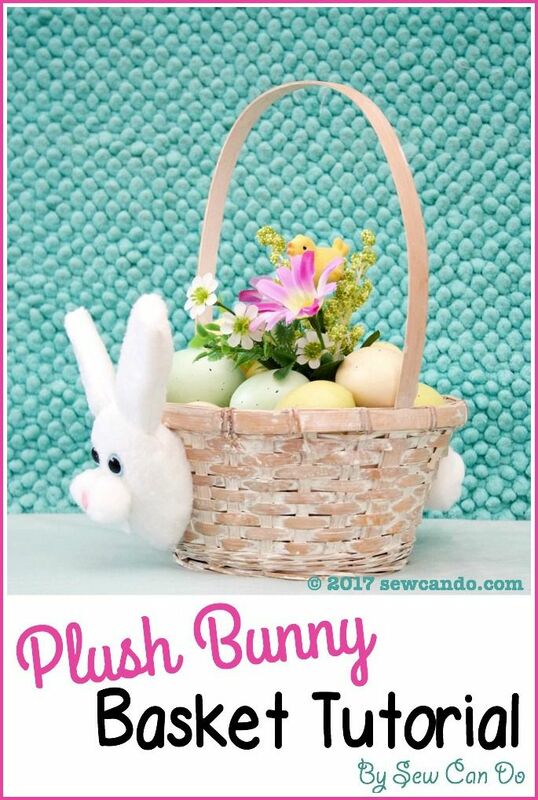 :) I would love to make the super sized drawstring bag like you've pictured to help contain all the stuffed friends in our house! 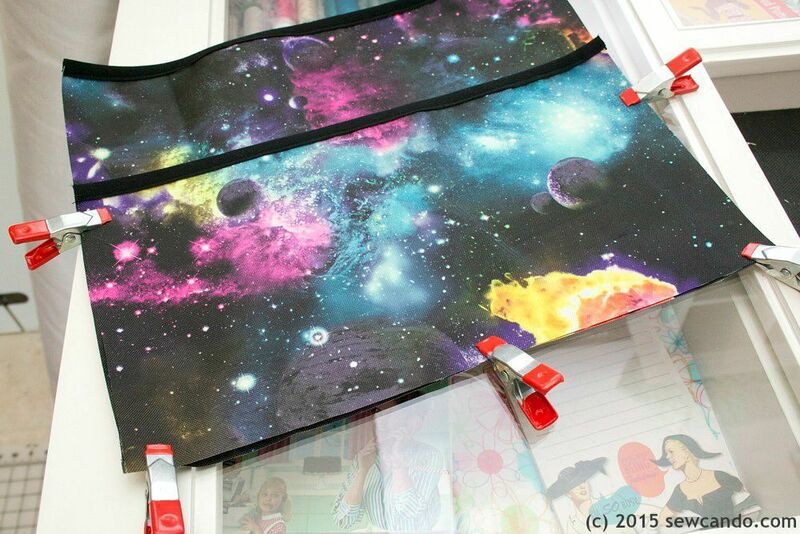 This fabric would be great for those behind the seat car organizers too! Hot dang! That case organizer needs to happen in my project list. I was just thinking about making the shower summit fleece ones but they are not Toddler boy destruction proof. I think I'll wait until this come out. I would make a drawstring bag and a few small zippered bags. 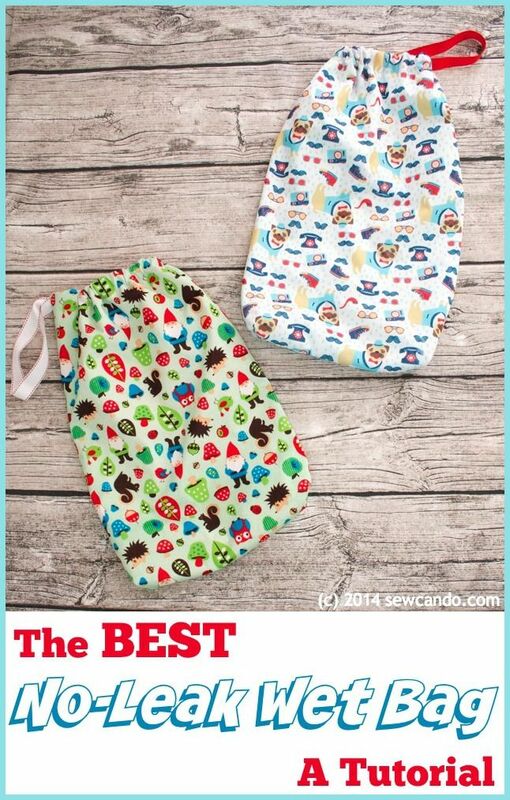 I would make the diaper clutch for my oldest daughter. This fabric is adorable. 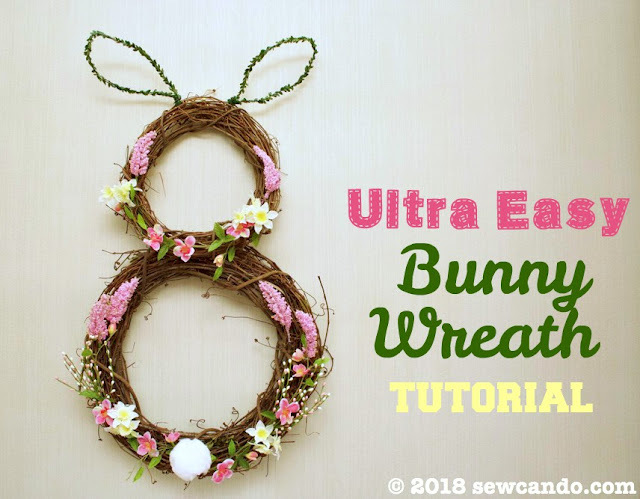 Thanks for sharing and for the giveaway. 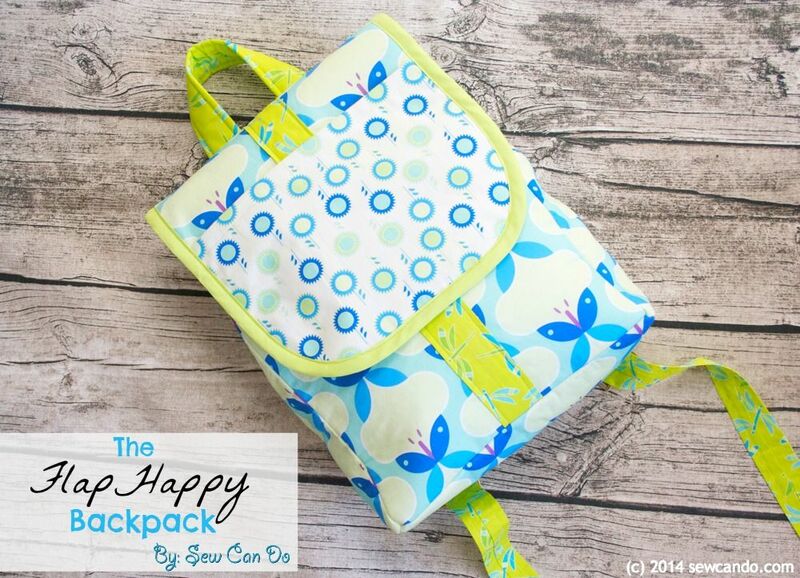 I would make a lovely diaper bag for myself and a matching little bag for my daughter to carry around. That' fabric looks wonerful! We love to canoe, so a tote bag or zippered pouch would be very handy to carry with us. It would be nice to not have to dry every single thing! I would make a camera bag! How fabulous! I'd make something for my upcoming niece/nephew, probably a dinky little raincoat! What a fun fabric!!! Great prints too!!! LOVE the Elephants! :) I would make some cute Totes for Library trips, and one for my take-a-long Projects....and Zippy bags for gifts & accessories! 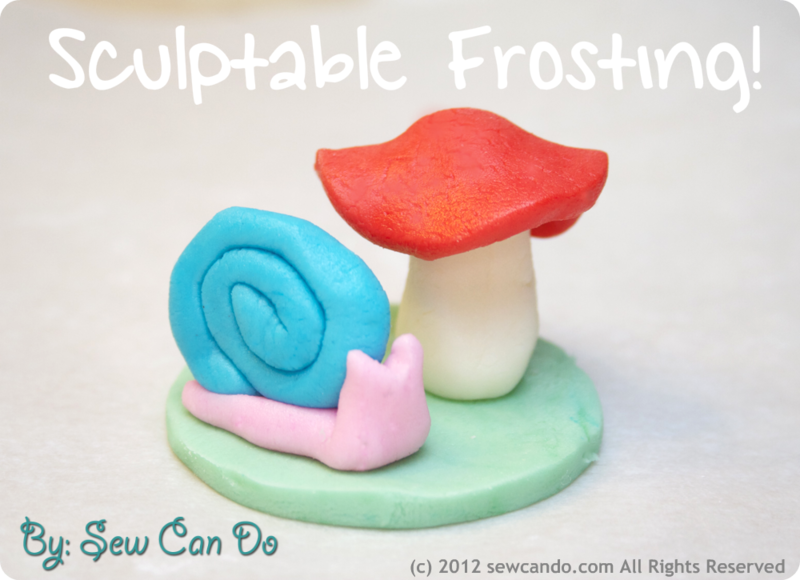 Thanks for chance to win some fat Quarters to try! I love your gardening tote, and zippy travel bags would be awesome, or a nice computer mat on the coffee table for my computer. I really like your garden tote so I would probably make some grocery bags too. 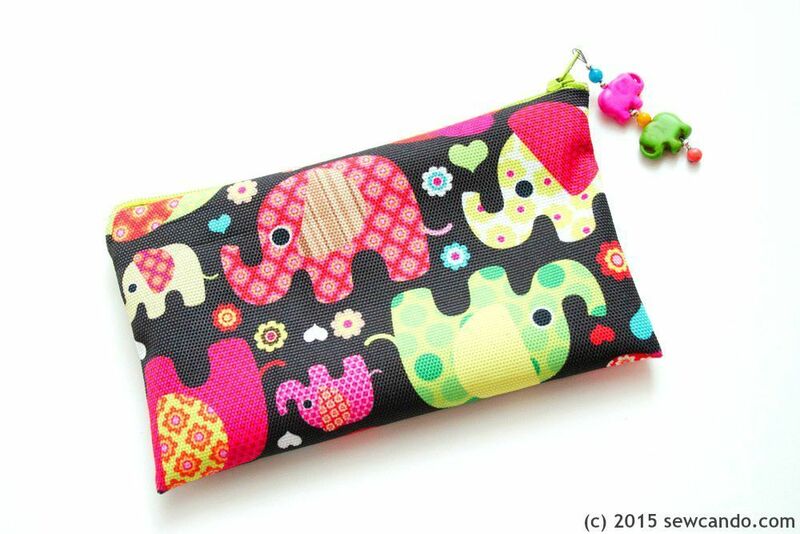 I would make some little zippered pouches. Rain poncho is on my list right now. This looks like a good fabric for that project. Love that drawstring storage bag. I'm looking forward to a tutorial on that one. I just tried to buy some of this fabric and got the following message from Firefox when I tried to finish the transaction, "Normally, when you try to connect securely, sites will present trusted identification to prove that you are going to the right place. However, this site's identity can't be verified." I'd love to complete my order but am feeling uncomfortable with all the cautions being listed. 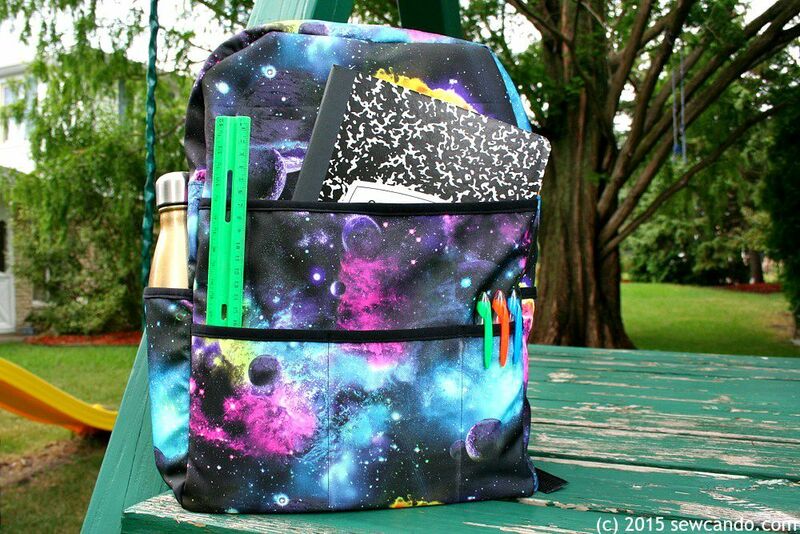 I would make a backpack for my boy who doesn't pay attention where he lays his bag down when he's playing before & after school. It gets put in the mud , left in the rain, a mud puddle, etc. Thank you for the giveaway & the chance to win. God bless. 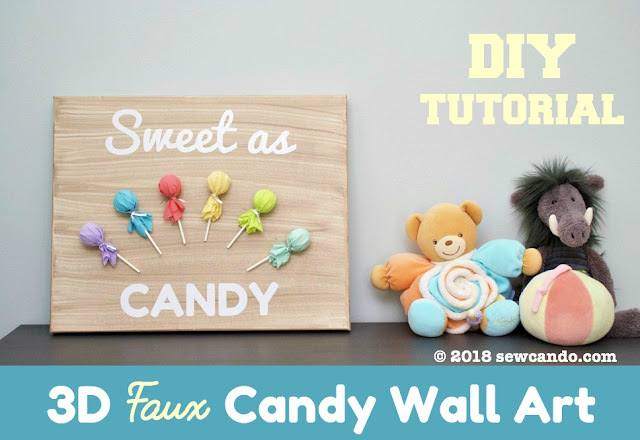 this fabric is such a good idea! I'd make small bags from those fat quarters!! I think I'd make an outdoor / picnic blanket since soccer season is coming! Oh....there was something recently that I really wanted fabric just like this for.....something for the boys. And now I can't remember what it was! Perhaps a bag for their swim things. I would love to make some playful clutch handbags. 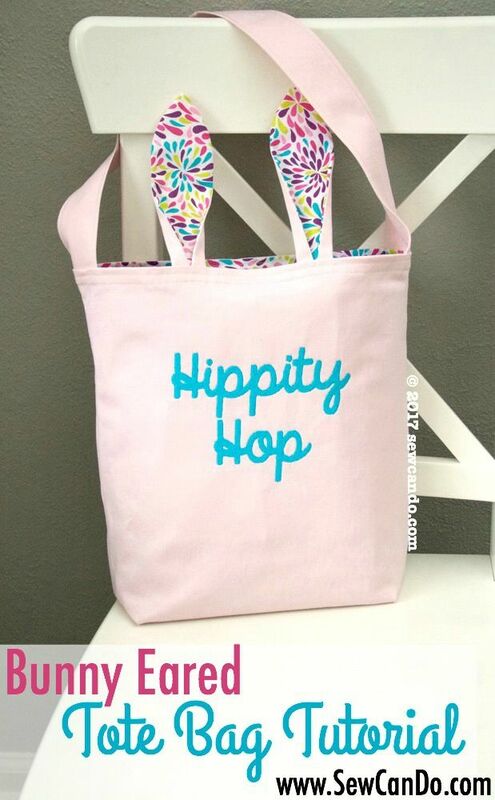 I think I would make a beach bag =D Thank you for the chance to win! 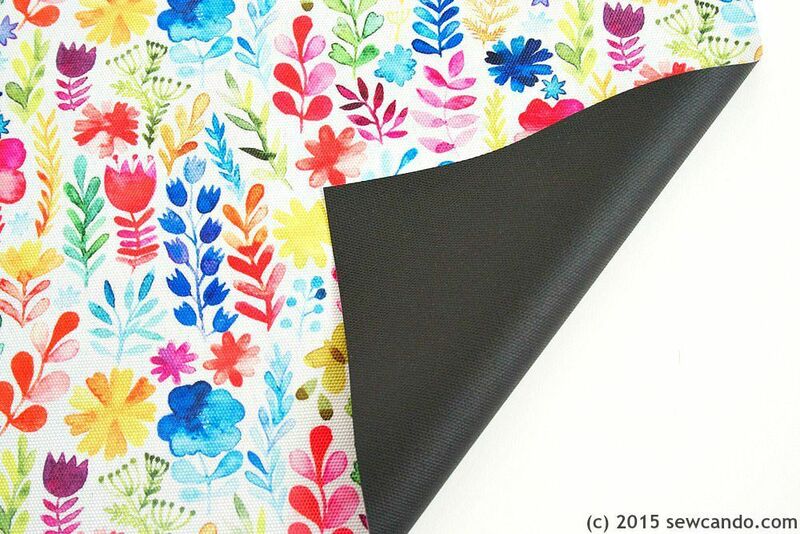 I love this fabric and would make a whole assortment of bags for lots of different uses. I would make a tote with alot of outside pockets. 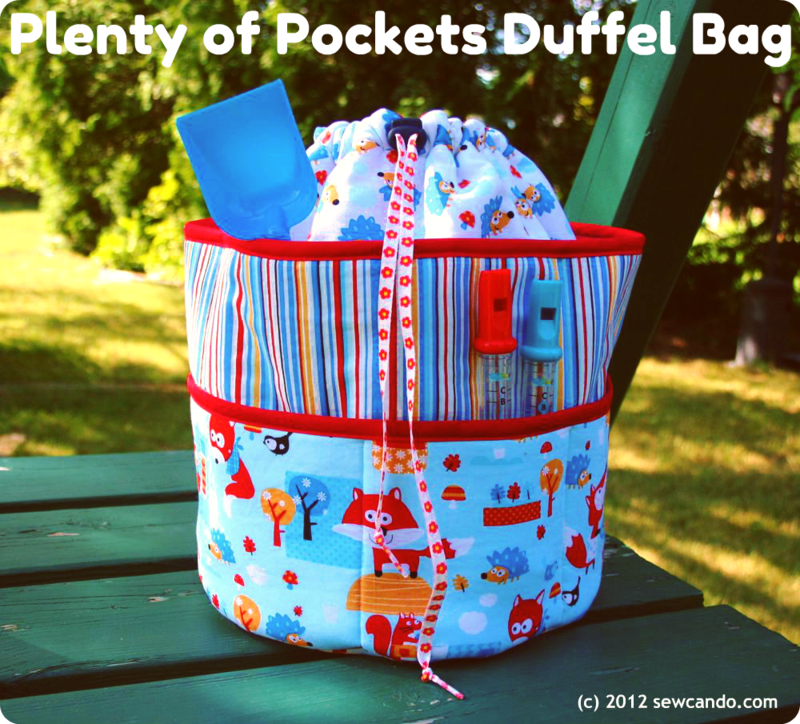 I'd make a diaper bag with LOTS of pockets. And a matching wet bag too. 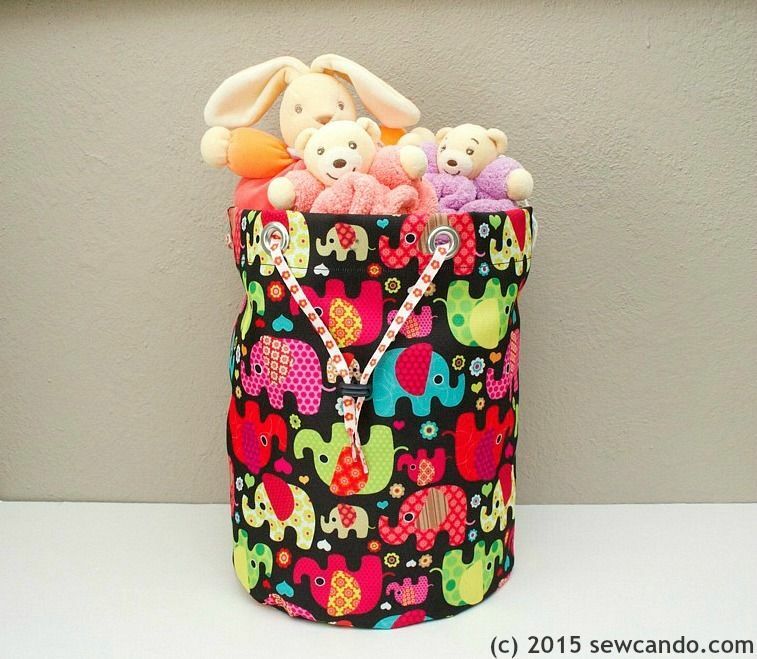 I'd make a toy storage basket for the kiddos! 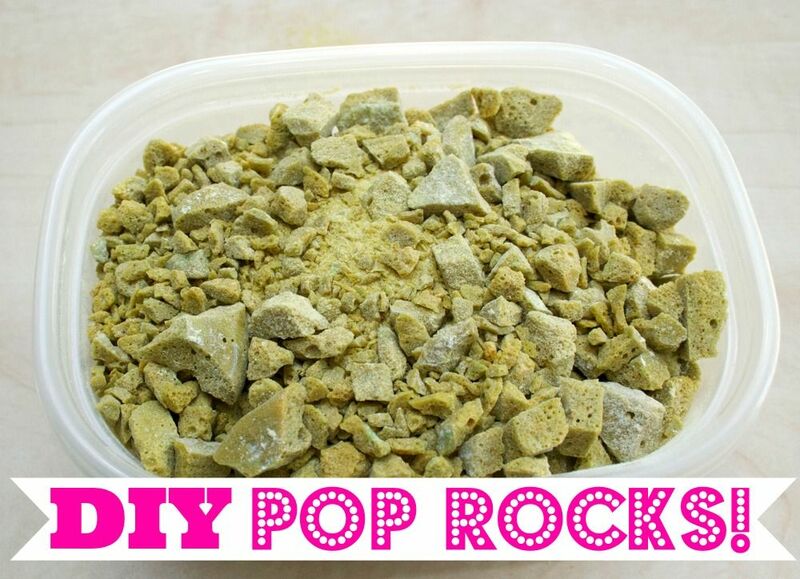 I am making wet bags with Eco-PUL right now, but would love to try this stuff! 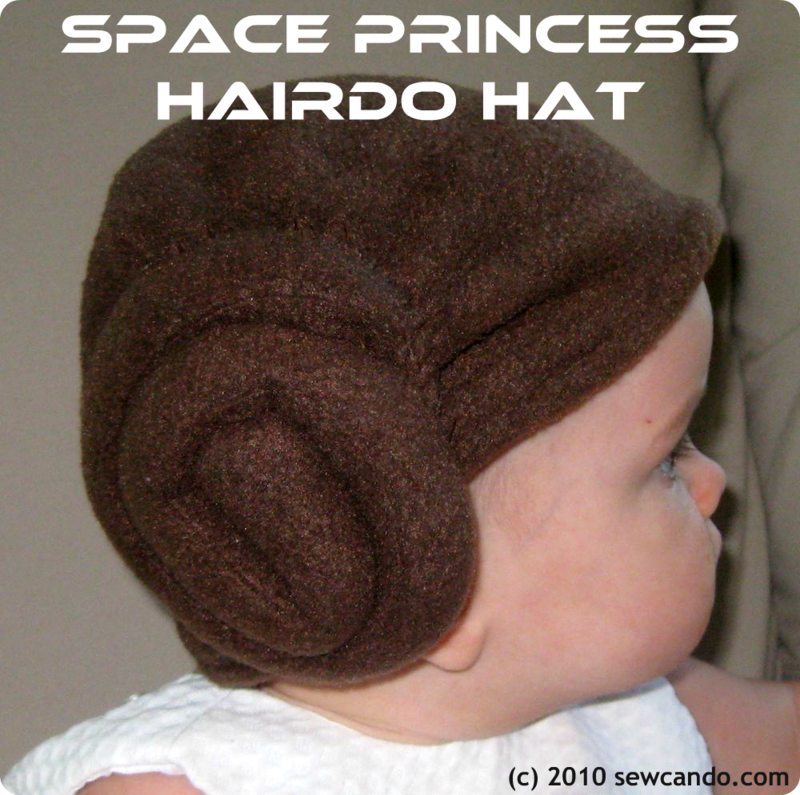 I would make a rain coat and hat for my toddler grandson. Gorgeous colours and patterns. I came here for the drawstring bag - would be a perfect clothes bin whilst traveling, but then I see all these other ideas, and IDK! A rain poncho has already been requested, and that would be great too. :) I saw a great tut about making a rainy hood, which wouldn't take up much material either. Thanks so much!! 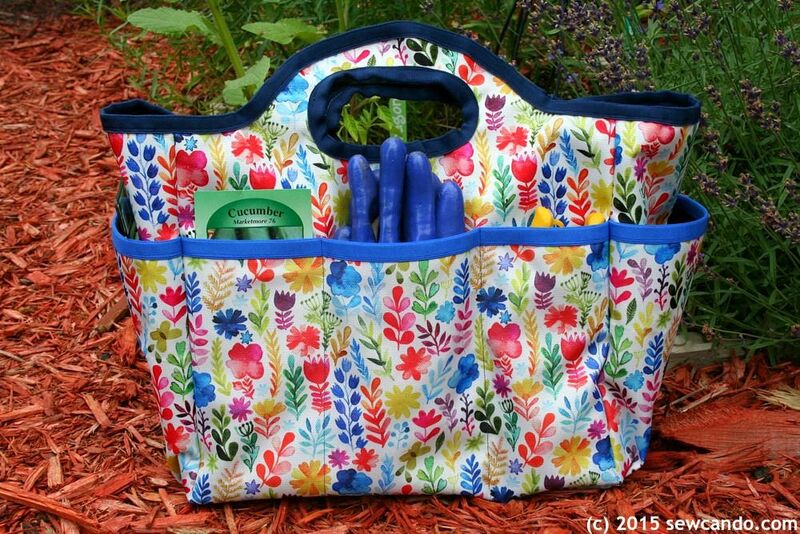 I really like the drawstring storage bag but really love the garden tote! 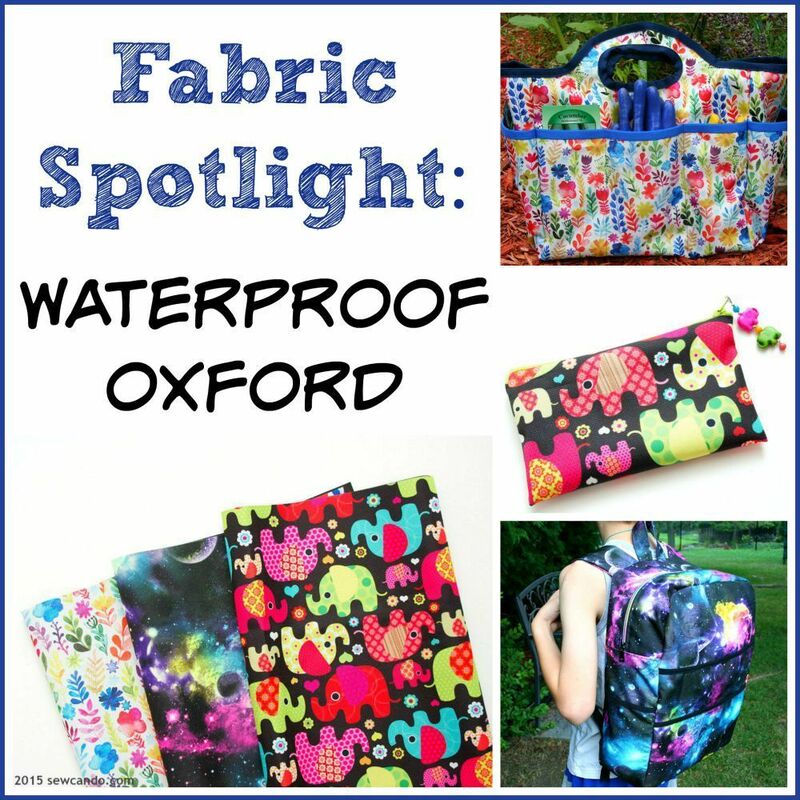 I had never heard of waterproof oxford-would love to try sewing-thanks for the giveaway! This looks like an interesting fabric. Thanks! I would make zipper pouches with the Waterproof Oxford Fabric Bundle. 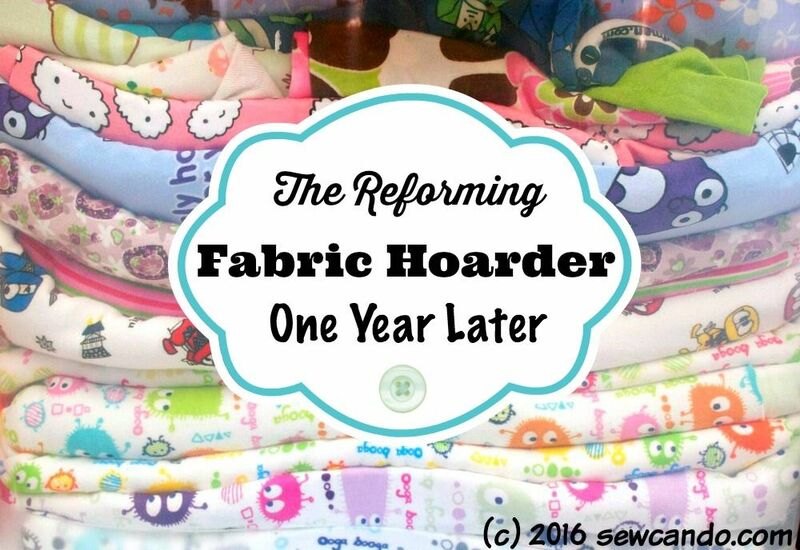 I would sew up some of those darling pouches with the rainbow zippers for gifts. These fabrics look great. I guess I could use this to make clutch for my phone. 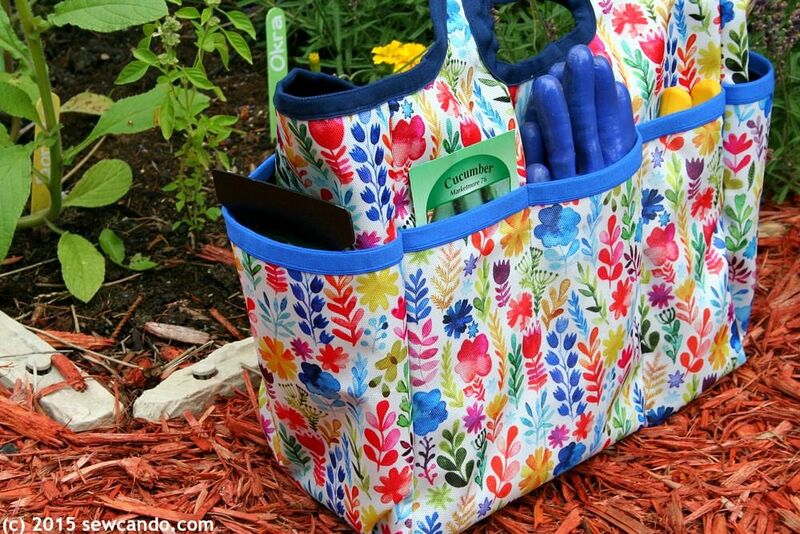 Your garden tote is awesome! Zipper bags, diaper covers., back packs...thank you so much for the tips/tutorials....my son and D-I-L are soon to be foster parenting so we'll need many items for many age groups infant to elementary age. My daughter needs a case for her iPad so she can carry it back and forth to school. She also carries her water bottle and it scares me to death for fear of having to replace the school-owned iPad. what laundering recommendations come with this fabric? I am thinking of making a nappy bin liner. Can I wash this with the rest of my nappies or will it be damaged from frequent washing? As mentioned in the post, this is a wipe-clean fabric, not meant to be regularly washed. PUL would be a better choice for a bin lining for diapers (nappies). Do you think this would work well as raincoat fabric? 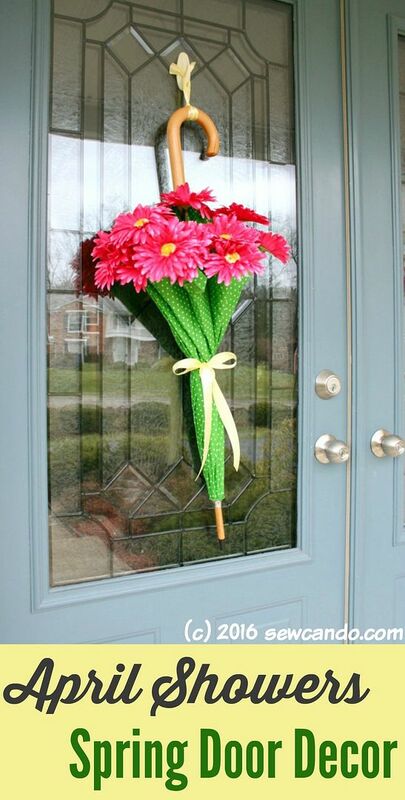 I'm just imagining a rain coat in that cheery floral print! Depending on the style, yes. This has a heavier feel than most waterproof fabric so a looser style would be better suited than a very fitted one. And it would always be a wipe dry item - this fabric doesn't need to be washed in a machine. Hi, I am debating using the PUL and the Oxford waterproof. I'm not sure which would be better. I am making a sling cover with a lining. I wanted it to be semi-waterproof but also a little flexible and cozy feeling since it's going over baby. Do you think the Oxford would be too structured? 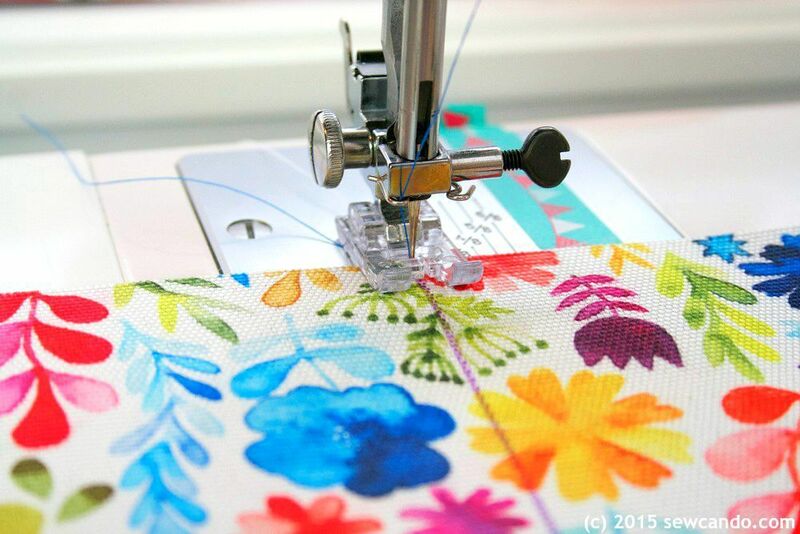 Do you find that the PUL fabric print side would wick away moisture or not so much? Thanks! 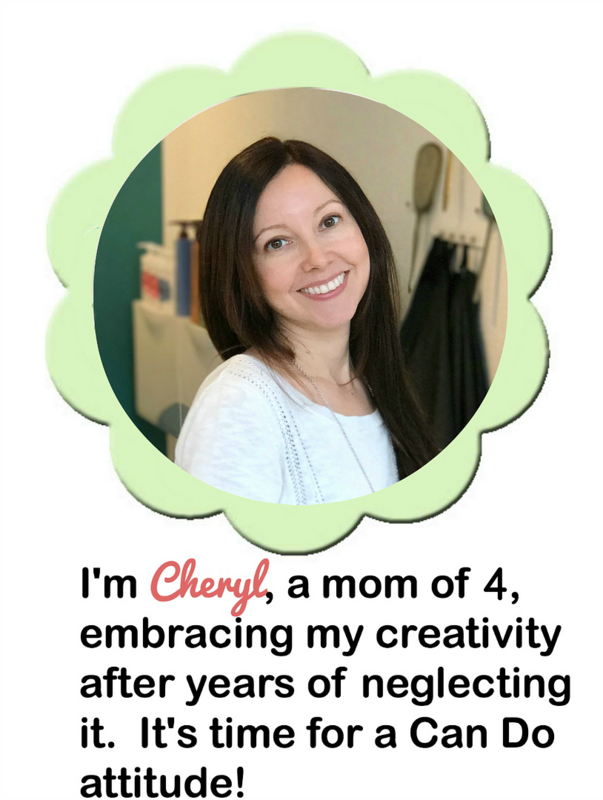 Your stuff is so cute and inspiring!!! Thanks for the sweet compliment. Since a sling cover is a wearable, I'd recommend PUL. It has more give and is breathable. Waterproof Oxford is great for more structured applications like bags & mats, but not as suited for clothing. Both are great fabrics, but somewhat different uses. Would the waterproof oxford be too stiff and hard to work with to make a small cell phone case out of? I would line it with thick fleece to help protect the phone. 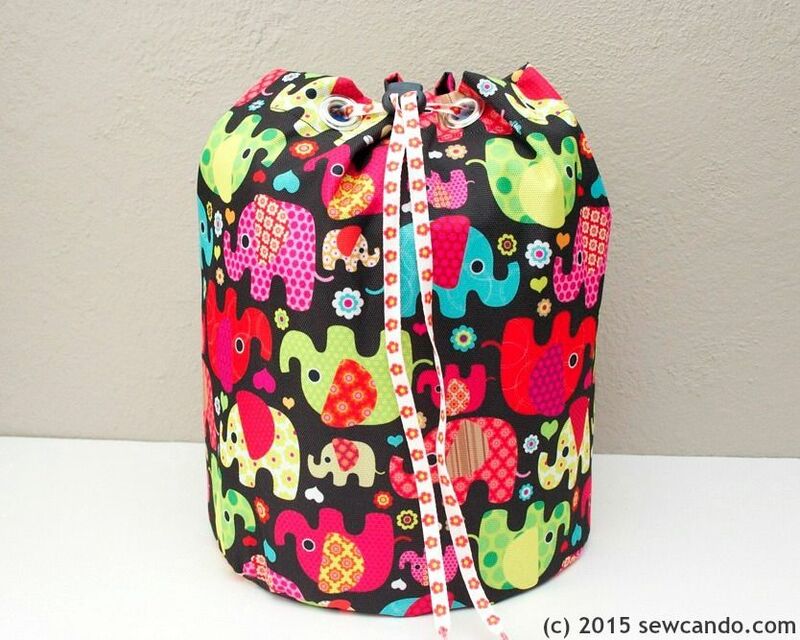 It would be like the little elephant bag with zipper that you made but the zipper would have to go up the long side and across the short side at the top. Case will be about 3.40 inches wide by about 6.50 inches long. 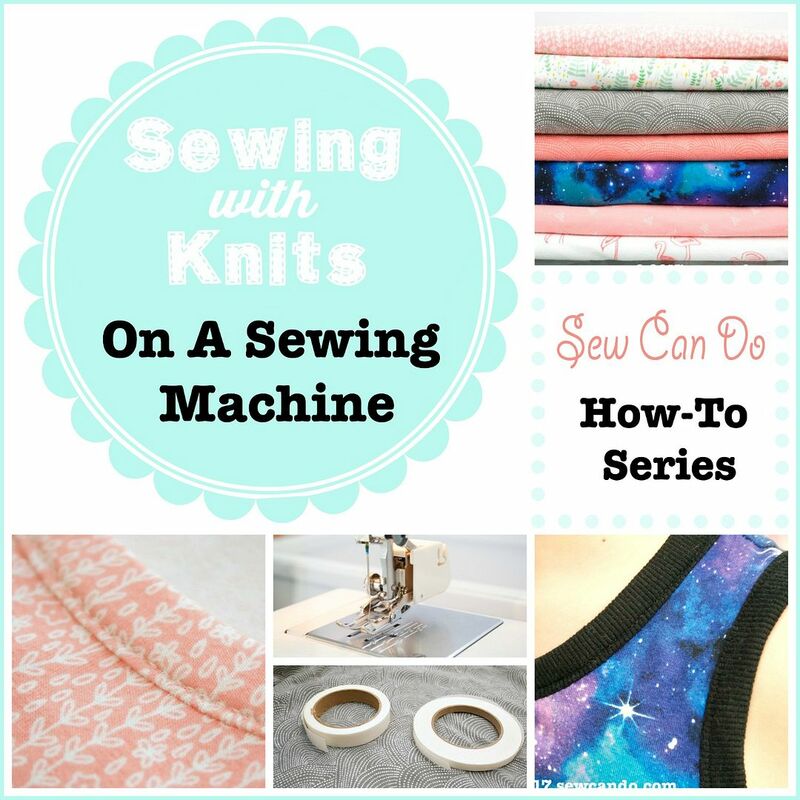 Lining it with thick fleece and making it that small make make sewing a bit more challenging, but if you're intermediate level in sewing you'd probably be ok. I'd recommend using a heavy duty needle & walking foot to help make it easier. 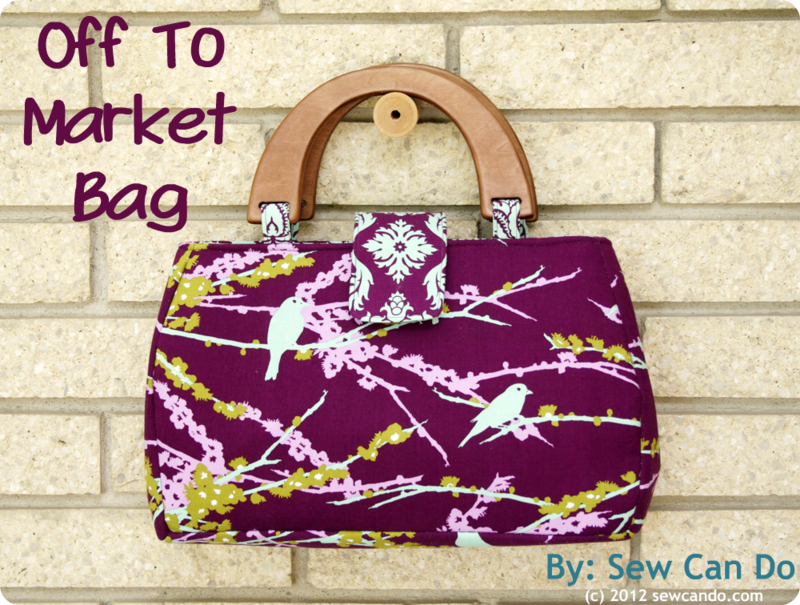 Did you ever post a pattern for that gardening tote? I looked and can't see it anywhere, but I love it! I didn't. I'm not sure where I put the pattern pieces for it. 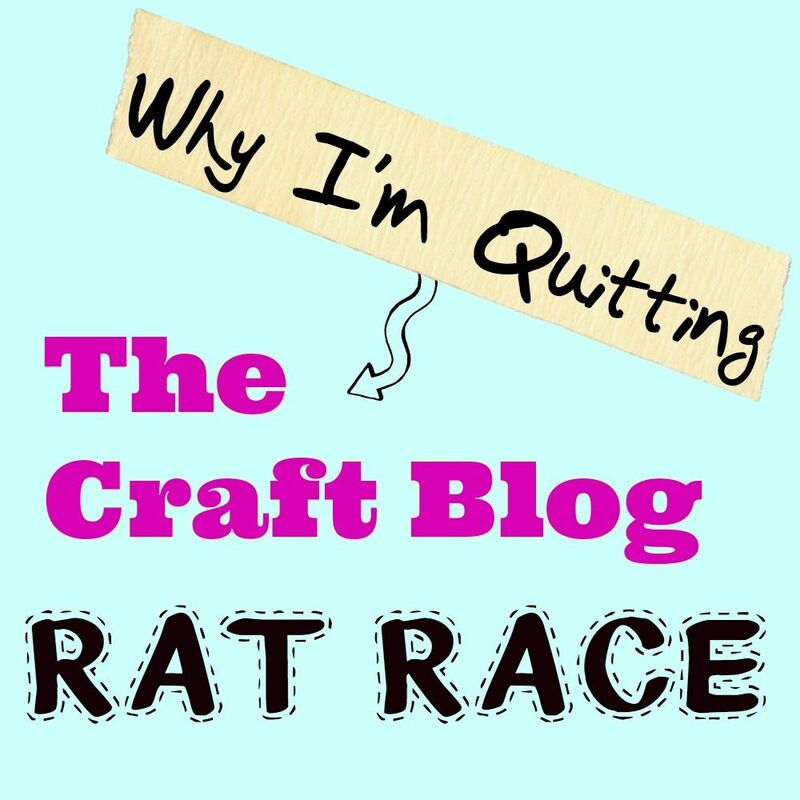 Sounds like I need to clean the craft room!